>> Breadcrumb :Home/Audio news/Positive Feedback/Rethm Loudspeakers will be at AXPONA 2019! Firstly, we have recently completed a major re-work of our premium line of speakers ( Saadhana, Maarga, and Trishna ) — the first major change since the line was introduced several years ago. The cosmetic changes are significant but not “radical,” and they have only been made because of the changes implemented to substantially improve sound quality. The labyrinth of the wide-bander has undergone major modifications to increase lower midrange response. And we would not have done it if we did not feel the improvement was worth the effort. And second – we are launching a new speaker: a monitor/bookshelf called the Rethm Arka. Working out the architecture of this new speaker was a challenge, as it had to be part of the same family: namely, horn-loaded wideband driver augmented by a powered bass section. Which we managed to do. And then went a step further, by making it fully active by building in a second amplifier just to drive the wideband driver. So each little enclosure has a 75 watt class AB amp for the bass, and a hybrid 10 watt pure class A amp with a tube driver stage. 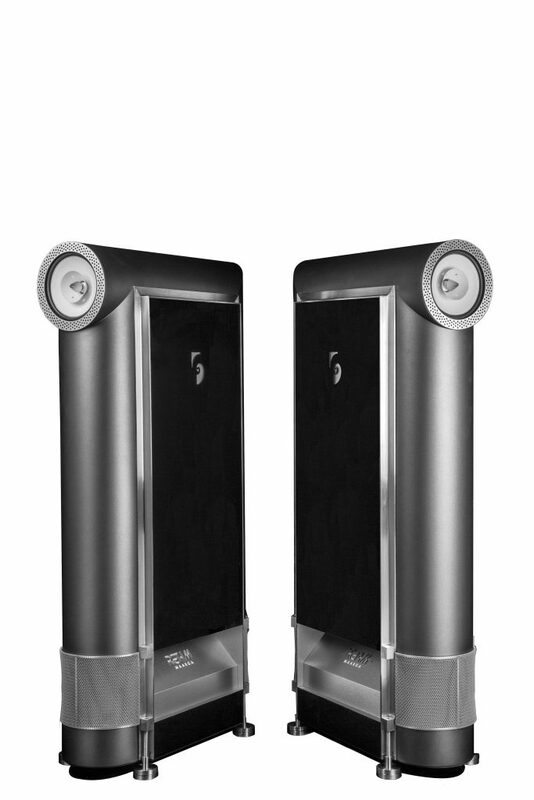 They have a sensitivity of 94 db/w/m, and do not sound like little monitors! The new Maarga’s will be playing in Room 540. Please contact [email protected] for more information. We look forward to seeing you there! By Positive Feedback| 2019-04-09T22:09:14+00:00	April 9th, 2019|Categories: Positive Feedback|Tags: Industry News|Comments Off on Rethm Loudspeakers will be at AXPONA 2019!